Full Throttle Aussies has 2 sweet, loving, amazing boys available 8 weeks old and ready to be a part of a family! 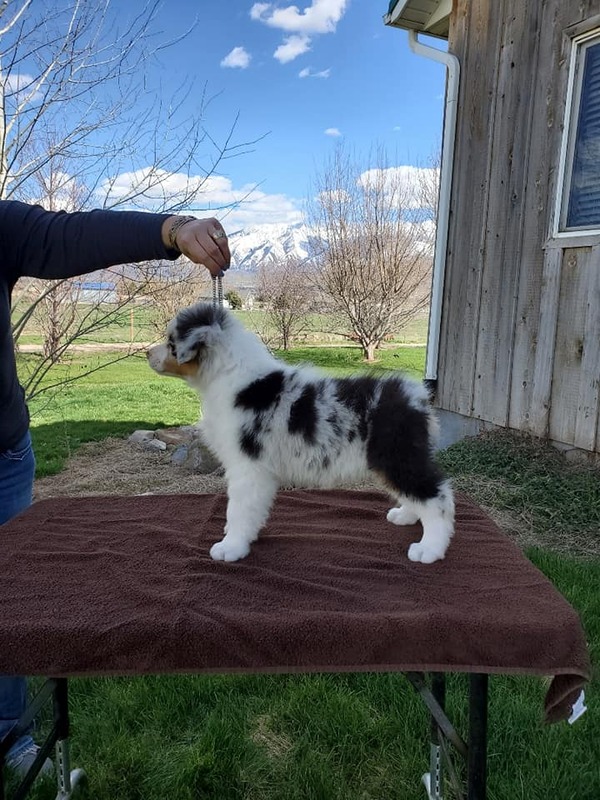 One Blue Merle Male and One Black Tri Male from an exceptional pedigree! ​At Full Throttle Aussies, we do not breed often. When we do breed. we only consider dogs that will compliment each other in accordance with the Australian Shepherd Breed Standard. Our puppies all come from health tested parents that are outstanding representations of the Australian Shepherd. The parents hold many accomplishments so this is not just our opinion. We strive for mentally and structurally sound puppies that will be amazing family members! This litter will have an EXCEPTIONAL pedigree with 18 Hall of Fame dogs in a 5 generation pedigree. This should be a fun litter that will be smart and extremely loyal! We do have a few open spots on our wait list so feel free to contact us for more information! Our puppies are sold only as pets on a non-breeding contract unless our requirements are met. These requirements are to enhance and protect the breed for generations to come and should be the standard for any responsible breeder.